VERMONT: (CALL TO ACTION!) Stop H. 47, which would impose Vermont’s 92% OTP wholesale tax on vapor products (e-liquid and devices) and is scheduled for a hearing on Thursday, April 4, 2019 at 2:30 PM.ACT NOW!VT – Stop an outrageous tax on Vaping! FLORIDA: (CALL TO ACTION UPDATE!) SB 1618, denying early ADULT #smokers, #vapers access to safer products AND requiring signature on delivery for vapor products, passed in committee (now exempts cigars.) ACT NOW! 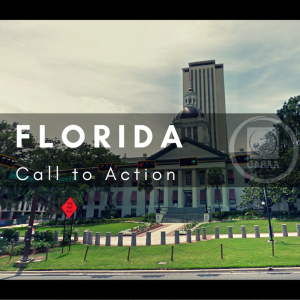 FL – Stop unnecessary barriers to safer alternatives to smoking! THE MORE YOU KNOW: (UK) Rhetorical question – Are teens in UK somehow unique or are reports of a US youth #vaping “epidemic” leading to teen smoking an intentional disinformation campaign? CDC holding full 2018 info, but known number’s still don’t add up. MANKATO, MINNESOTA: If shops don’t fight flavor restrictions, thinking it’s a “win” for their business, it’s actually a “loss” for both public health and profits when smokers lose full access to safer alternatives & never become #vaping consumers at all. RESEARCH: The tragic consequences of the disinformation war on vaping now includes the fact that most Americans wrongly think that the products are as or more harmful than cigarettes. Anti-nicotine and tobacco zealots are celebrating this as a success. THE MORE YOU KNOW: Headlines reporting “link” between vaping and seizures even though there really is no “link” shown at all. Could easily find just as many people who had a seizure after petting their cat. Likely gov’t fearmongering caused them to report seizure was from vaping. —-Clive Bates, Director of Counterfactual, Director of Action on Smoking and Health (UK) 1997-2003. THE MORE YOU KNOW: (NEW ZEALAND) Vape-friendly policies (compared to neighbor Australia and many in US) sees youth smoking decline without uptick in non-smoking youth vaping (as in UK.) Are NZ/UK youth unique or is panic elsewhere unwarranted? You decide. ADVOCACY: (TEXAS) College students call on their peers to stand up and fight back against intrusive government legislation that threatens their access to far safer alternatives to smoking, especially in light of 25.6% smoking rate vs 16.9% vaping rate. This entry was posted in All posts, Call to Action, Connecticut, e cigarettes, Florida, Hawaii, Maryland, Massachusetts, Minnesota, New Hampshire, News, news-all, Smokeless Tobacco, Vaping, Vaping News, Vermont. Bookmark the permalink. We never sell info to 3rd parties.